Today balsa wood is overwhelmingly used in model aircraft building and in architectural/engineering models of many sorts. In fact it is used in any type of model building where it is important to have a wood that is light and/or easily cut and shaped with hand tools.... in the classroom and the office. Historically, Balsa wood has been used in many applications that required high levels of floatation, life-saving equipment, floats, rafts etc. as well as insulation and in sound absorption applications. Balsa is somewhat like what we would consider our poplar trees here in Northern Ontario. It grows like a weed tree. Any time there is an opening in the forest floor, multiple seedlings will shoot up rapidly, often 12' tall in six months and can reach 15-40" in diameter in ten years. The strongest tree will eventually dominate an area, killing off the smaller, remaining trees. As the trees age the center core rots and the new wood grows more densely. When the tree is very young the leaves can be as large as 45" across, but as the tree ages the leaves grow much smaller, in the under 12" category. Trees are found widely distributed throughout the tropical forests of S. America, from southern Mexico to Brazil and Bolivia. Ecquador is the primary source of commercial Balsa exports. 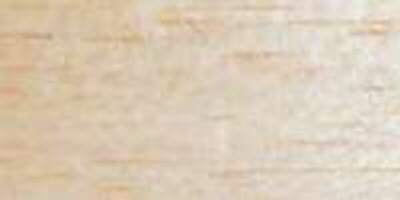 Balsa is a pale white to gray, nondescript wood, with little grain pattern. It has a distinct velvety feel. It is never bought for its appearance, but rather its exceptional strength to weight characteristics. It is the lightest and softest wood on the commercial market, although not the lightest wood in the world. With a microscope, you would see that the cells are very large and porous, with limited amounts of lignin (the glue that holds wood together) between the cell walls. Balsa's weight is the issue for many balsa purchasers. Its weight can vary from 4 lbs. Per cu.ft. to 20 lbs. Per cu ft., although more typically in the range of 6-14 lbs. It strength is directly related to its weight. Wood that is 6 lbs or less is considered to be of "contest grade" for any of you who are into model airplane construction, and used for low stress components. The heavier stock is for structural components that take more stress. For this reason, many of the larger distributors, always sort and sell Balsa in different weight categories. In the green, Balsa has approximately five times more water, than actual wood, much like our northern white pine. Balsa finishes easily with standard water based paints, or varnishes. May fuzz after first coat and require fine sanding. Most cutting and shaping of Balsa is done with very simple hand tools, sanding blocks and X-acto blades. Rarely are power tools necessary unless you are cutting down larger blocks. COPYRIGHT © 2004-2015 (ORIGINAL APPROACH LLC), ALL RIGHTS RESERVED.